“Lirael has never felt like a true daughter of the Clayr. Now, two years past the time when she should have received the Sight that is the Clayr’s birthright, she feels alone, abandoned, unsure of who she is. Nevertheless, the fate of the Old Kingdom lies in her hands. 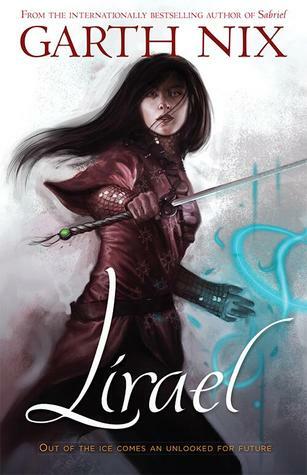 With only her faithful companion, the Disreputable Dog, Lirael must undertake a desperate mission under the growing shadow of an ancient evil. 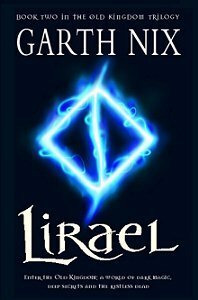 ~eBook Cover: I have the plain paperback version of Lirael, which I like, but I also like the ebook cover too. ~Single Line of Inheritance: The Abhorsen Role is very much like the Vampire Slayer Role, there’s only ever one Abhorsen in a active postion, but unlike the Slayer role, that doesn’t have to be case for the Abhorsen Role. Unlike the Clayr, who are large in number, The Abhorsen line and The Royal Blood-Line are very fragile, it makes me wonder what where they going to do if Sameth refused to be the Abhorsen-In-Waiting and Lirael hadn’t shown up.